If you’re not set on jetting off to a Caribbean beach this winter, a city getaway can be a great alternative. Many cities in the U.S., Canada, and Europe are a better value for travelers during their low season, offering both discounted hotel prices and fun winter events. Here are my top picks for winter city escapes. In some places, people use winter as an excuse to hibernate. Not so in Reykjavik. 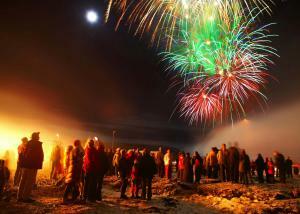 The Icelandic capital city embraces cold weather with a host of festivals and fun activities. The Yuletide holidays are a big to-do, culminating in Þrettándinn (or Twelfth Night) on January 6, which features Elfin-inspired dances, bonfires, and more. Late February brings the Winter Lights Festival, an annual celebration of the season’s coming end. The entire city gets in on the action, with art galleries, cultural institutions, restaurants, and even sports teams scheduling events. And foodies may want to plan their visit during the Food and Fun Festival, also in late February, where city chefs plan creative menus wholly prepared with Icelandic ingredients. There’s even a chef competition at the close of the festival featuring a Supermarket-Sweep-style speed-timed grocery store excursion for local ingredients and a contest to determine which chef creates the best three-course meal (fish, meat, and dessert) from their purchases. If a festival isn’t your speed, you’ll still find plenty to do around town. Purchase a Reykjavik Tourist Card and get admission to a variety of museums, the thermal pools, and free city bus rides. You’ll also get free Internet access at the Tourist Information Centre in the old city. The card ranges between €13 and €25, depending on number of valid days (or approximately $19 to $37, check the latest conversion rates at XE.com. Another advantage of visiting Iceland is its close proximity to the U.S.—compared to other European capitals, it’s a short hop (roughly six hours) across the pond. Round-trip airfare from New York was quoted at $463 per person for late January travel. Start your lodging search at the Reykjavik tourism website, which includes listings from hotels, apartments, B&Bs, and hostels. As the capital city of Canada, Ottawa has a lot to offer in any season. But by visiting in winter, you can take advantage of a host of free activities, both indoors and out. Skaters should head to the Rideau Canal Skateway, the world’s largest skating rink, where you can glide over more than four miles of ice. Skating on the canal is typically possible from late December to early March, depending on the weather. There’s no charge to skate, although you will have to pay for skate rentals if you’re not bringing your own. Tobaggoners, rejoice! Ottawa has plenty of public parks with hills perfect for sledding. In fact, the National Capital Commission has even reserved three areas in town just for this purpose: Bruce Pit, Conroy Pit, and Green’s Creek, all found within the Greenbelt recreational space. You can also find a few good sledding hills in the Old Ottawa South neighborhood, including Vincent Massey Park and the Experimental Farm hillside. This winter, Ottawa’s biggest draw may be its 30th annual Winterlude Festival, scheduled to run on the weekends between February 1 and 17, 2008. Most of Winterlude events and attractions are free. Among the highlights are a snow-sculpting competition, elaborate ice sculptures, and a giant winter playground known as Snowflake Kingdom. And if you’d rather not be out in the cold, several area museums offer free or reduced-price admission during select periods each week. The National Gallery of Canada is free on Thursdays between 5 and 8 p.m., the Canadian Museum of Nature has an open-door policy on Saturdays between 9 a.m. and 12 noon, and the Canada Science and Technology Museum is free between 4 and 5 p.m. daily. Check with the museum you wish to visit to see if they offer any admission specials. At press time, round-trip airfare in late January came in at $507 from Chicago. You can also browse the latest hotel package offers from the Ottawa Tourism bureau. Replace cold, windy, and wet with charming, romantic, and crowd-free to get the optimist’s view of Boston in winter. Indeed, this may be the ideal time to visit, as there’s plenty to do indoors, you’ll have the attractions all to yourself, and you can enjoy cheap rates at area hotels and restaurant promotions. Two of Boston’s most popular winter events center on wine: the Boston Wine Festival and Boston Wine Expo. Spearheaded by acclaimed chef Daniel Bruce, the Wine Festival typically takes place at the Boston Harbor Hotel from January through April, with tastings, seminars, brunches, and dinners scheduled. Prices vary by event. The Boston Wine Expo will be held February 9 and 10 at the Seaport World Trade Center, and you’ll be spoiled by all the choices—there are more than 400 wineries represented, and 1,800 vintages uncorked for sampling. A one-day advance ticket starts at $75. There are also a host of possibilities for art lovers. Check out the latest exhibits at the new Institute for Contemporary Art on the up-and-coming waterfront (Thursday nights are free), or pretend you’re in Europe with an afternoon at the villa-like Isabella Stewart Gardner Museum. If you want to visit both the Museum of Fine Arts and the Gardner, you’ll get a discount at either by showing your ticket stub. Boston’s Logan is the most accessible airport to the city, although Providence’s TF Green Airport can be used as an alternative, particularly if you wish to fly on Southwest. Search for hotel deals by visiting the websites of the Greater Boston Convention and Visitors Bureau, as well as the Massachusetts Office of Travel and Tourism. It’s no secret that winter is the most affordable time to visit Europe, and with the euro pummeling the dollar, every little bit of savings helps. It’s an especially good time to visit Rome, as the tourist hordes won’t arrive for months, and the weather (while wintry) is balmy compared to some locations in northern Europe, with temperatures reaching up to the 50s. A big draw for a winter visit is “Le Saldi,” the biannual clothing sales at designer and mainstream boutiques across the city, typically held throughout January and February. For fashionistas seeking a price break, this is more than enough reason for a trip. For other goings-on about town, including new exhibits, events, and more, visit the official Rome tourism website. At press time, airfare from New York came in at $447 per person in January. For accommodations bargains, consider a [% 11300 | | vacation rental %] in or near the city. You can find extensive listings, organized by neighborhood, at VRBO. You can also try booking a vacation package. Consider the offerings from go-today.com: A six-night package with daily breakfast starts at $729 per person for winter travel. That same vacation package more than doubles in price (to $1,559 per person) for early spring and summer trips. Arts, wildlife, fine food and wine, and outdoor pursuits such as sea kayaking—all can be had with a winter getaway to Monterey. And while it won’t be hot (winter temperatures range between 40 and 60 degrees), it’s certainly pleasant enough that you can have an enjoyable time outside. Start your explorations with the popular attractions: the Aquarium, Cannery Row, and Old Fisherman’s Wharf. Beyond those, indulge your adventurous side with a hang gliding or skydiving excursion; try calamari stuffed, barbecued, or Sicilian style at Abalonetti’s; or venture outside the city limits for wine tastings at your own pace. You can fly into the Monterey airport, but you’ll likely find better prices by flying into the nearby airports in San Francisco or San Jose. For lodging, the Monterey County Convention & Visitors Bureau eSpecials website compiles current promotions from member properties. You can also find a good listing of area accommodations on GoMonterey.com.